The agency's goal is to help Opower establish itself as a brand that is "here to stay" after it went public earlier this year. NEW YORK: After going public earlier this year, software provider Opower has selected LaunchSquad as its AOR to elevate its brand globally and domestically. Arlington, Virginia-based Opower, which brought on LaunchSquad last month, reviewed several agencies in a month-long process, said Margot Littlehale, the company’s manager of corporate and client communications. "[Opower] interviewed a few PR firms on the phone and brought a few in, but we found LaunchSquad to be the most innovative and best fit for our business goals," explained Littlehale, who did not disclose what other firms were considered. Now that Opower, which has five offices in five countries, is a public company, LaunchSquad is assisting with day-to-day media relations management and strategic guidance and leading the narrative that it wants to communicate to audiences around the world, Littlehale added. LaunchSquad, which did not have a previous relationship with the client, is also collaborating with Opower’s other PR firms around the world. Mike Schroeder, VP of LaunchSquad New York, is leading the account with Mike Farber, partner and founder of the firm’s Boston office, and San Francisco office VP Lindsey Scott. 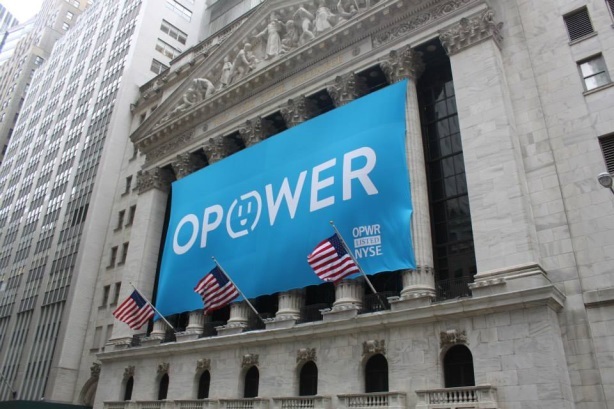 Their goal is to establish Opower, a company that sells cloud-based software to utility companies to help them manage relationships with customers and track energy use, as a company that is "here to stay," said Schroeder. "There is a hunger out there for this optimistic kind of story and confidence that we are headed in the right direction when it comes to big ideas like energy efficiency and how it is helping to combat climate change," he said. "So we are helping [Opower] craft those big picture narratives and make sure they are telling the right narratives to their vertical audiences who are helping to drive their business." Budget information and contract length were not disclosed. Opower also works with Huntsworth firm Atomic, which rebranded as Grayling earlier this year. The firm took it through its IPO process, a representative confirmed. Opower reported a net loss of $7 million in the first quarter, compared with a loss of $2.7 million in the same period of last year. However, the company achieved a 50% revenue increase to $28.6 million, compared with $19 million in Q1 2013.